Construction of the Dam hinged on the railroad bringing in supplies. The depth of the dam below the mouth of the coulee above made it difficult for a traditional railroad to be built. Grades of 5% were accepted for the project, including a number of switchbacks, due to the limited room in the construction zone. Note here the few different switchbacks the railroad used. The highway, still in use today, curves through the image at the right. 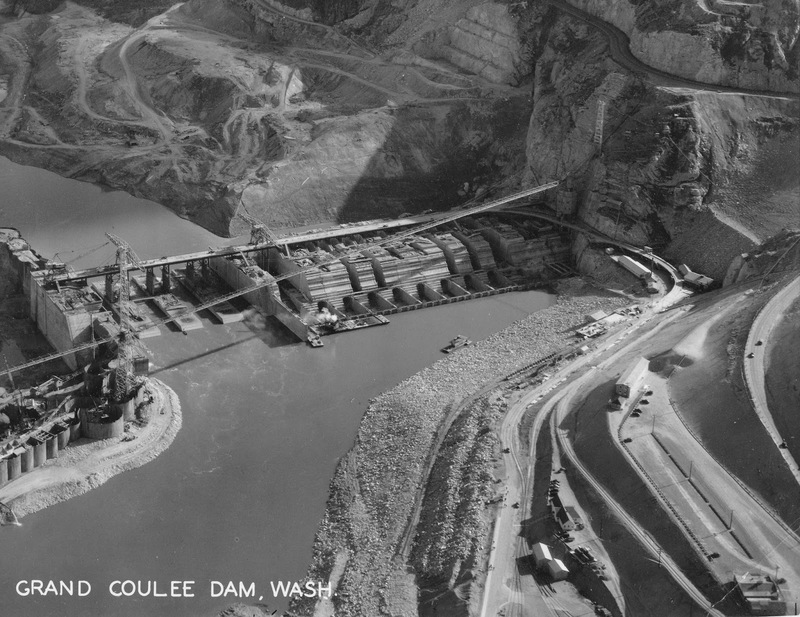 This view, from about 1937, shows the east side coffer dam still in place. The famous “frozen landslide” was just behind this portion of the dam.